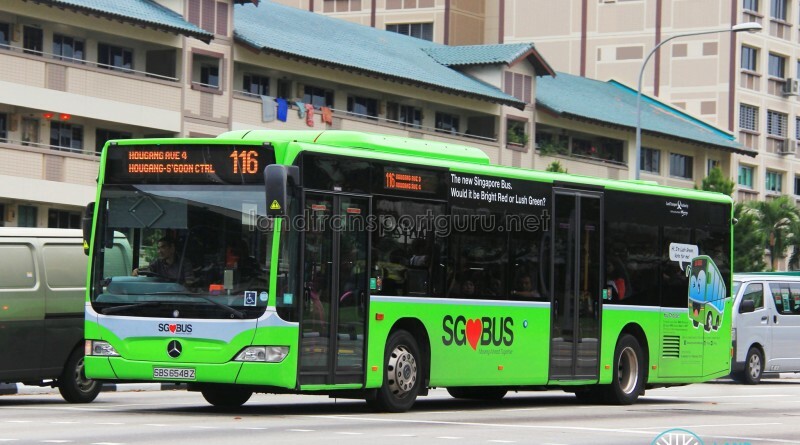 SBS Transit Bus Service 116A is a Short-Trip Service variant of Bus Service 116. The route operates from Serangoon North Avenue 4 (Blk 504A CP) and ends at Serangoon Central (S’goon Stn Exit C/Blk 201), operating on weekday mornings. 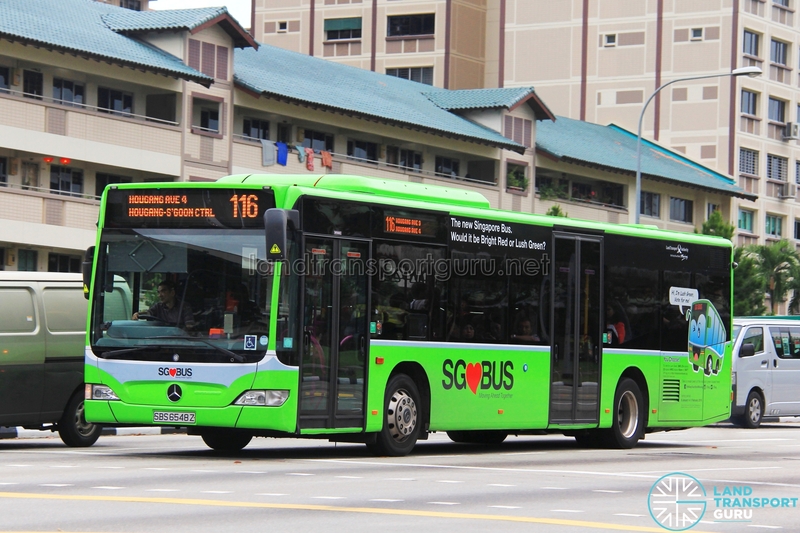 Service 116A commences operations on 15 April 2019. Short Trip Service 116A is a trunk service operating from Serangoon North Avenue 4 (Blk 504A CP) and ends at Serangoon Central (S’goon Stn Exit C/Blk 201). As a Short-Trip Service, the route operates during Weekday AM Peak hours and supplements the high demand for Service 116 from residents along Serangoon North Avenue 4 & Yio Chu Kang Road travelling to Serangoon MRT station. Introduced on 15 April 2019, Service 116A is wheelchair-accessible at launch. 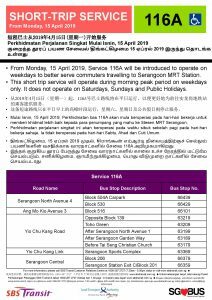 2019 (15 Apr): New Short Trip Service 116A introduced. More bus services required in Sengkang west.